Whenever we meet someone who owns a Land Rover, especially folks that own a Land Rover Defender, they always have good stories to tell. Many of these heavy-duty iron machines have been all over the world and traversed every type of terrain. They’ve served many purposes, tend to have battle scars, and are dearly loved. 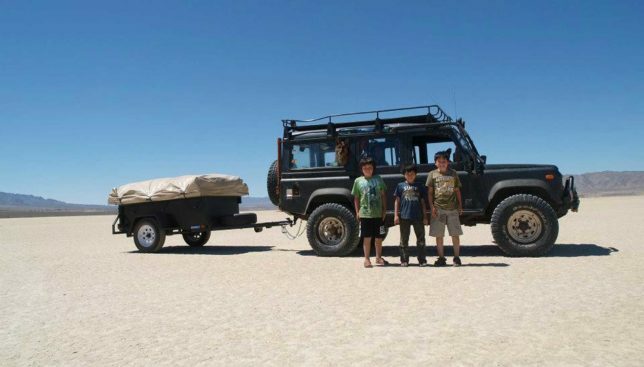 The story of Ray Hyland and his family’s 1993 Land Rover Defender 110 is just like that, but more unique. Ray Hyland is an explorer, writer, photographer, traveler, shadetree Rover mechanic, and all-around great guy (we’ve known him for years). 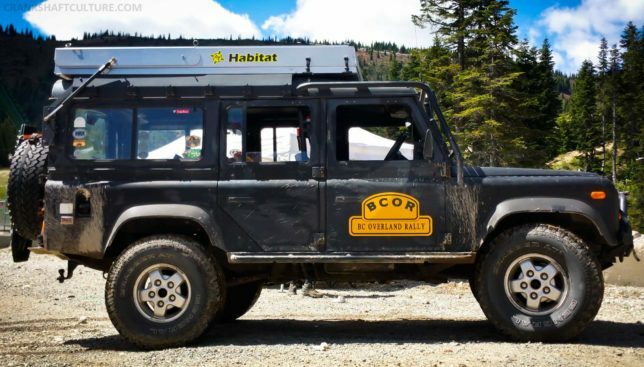 He and his family run the NW Overland Rally, BC Overland Rally. He’s a Renaissance man if I’ve ever met one. Additionally, he and his family have traveled all over the world. 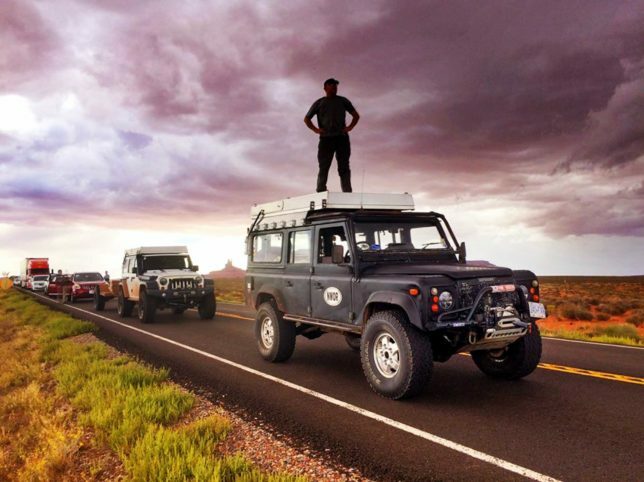 In fact, in 2015, the five of them embarked on an epic 18 country overland journey from London to Singapore in a 1950s Series 1 Land Rover—a trip that had only been done one other time in history. But that’s a different blog post. Ray and Marianne met in Singapore and their three boys grew up there. Eventually, the family moved back to Ray’s native Canada. As their family outgrew their collection of motorcycles and antique Mercedes-Benz Sedans, the logical choice would have been a minivan. 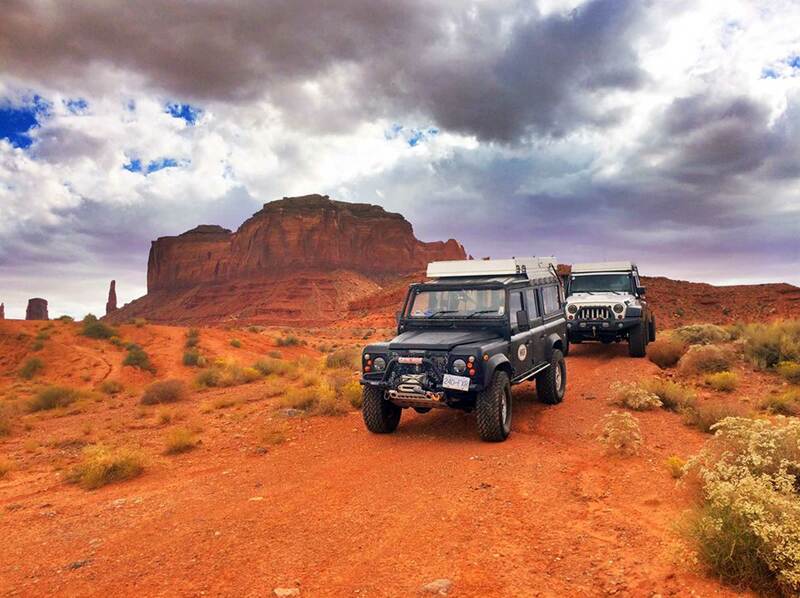 Instead they bought a Defender 110 and never regretted it. With the flat Habitat top, the Rover is the best place to survey the road ahead. The Hyland family on an adventure in Death Valley. This particular Defender 110 was used by the Singapore police department as a SWAT team assault vehicle. Yep, you read right. A SWAT assault rig. During the 15 years of police ownership, they put on less than 40,000 km (25,000 miles). Ray, residing in Singapore at the time, bought it in 2007 through a friend who handles military auctions in that region, and built it up over the course of several months. In 2008, he imported it to British Columbia. After the rig was imported to Canada, he, Marianne, and their three boys spent a couple of years driving it as-is. They eventually bought a cabin on a mountain with an abandoned ski hill—Silvertip Mountain—in the backcountry behind their house. There was no way to access the mountain other than by snowmobile but that didn’t deter them. They decided to buy a set of Mattracks for the truck. To ensure the tracks would work well, they installed front and rear air lockers. The Mattracks take the Rover’s footprint from a square foot to a whopping 26 square feet of contact patch. It can float on top of 10 ft. of snow and only sink in a couple of inches. An awesome snow machine fit for several people. 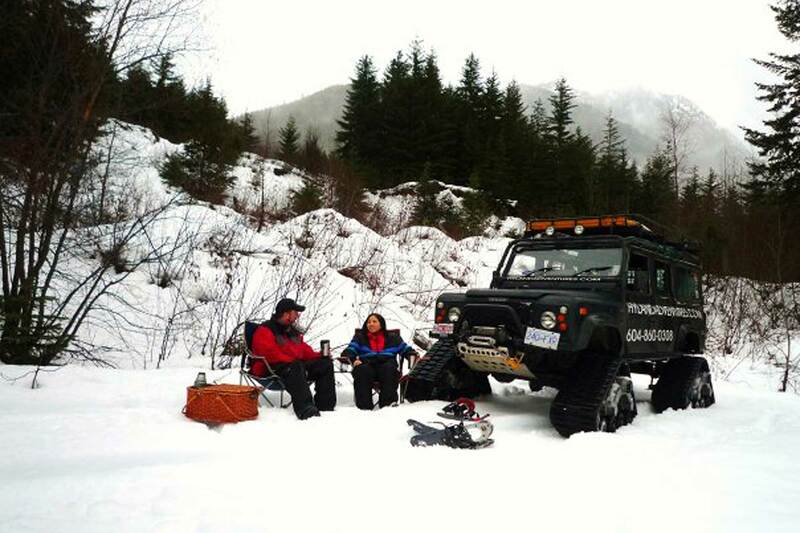 Ray and Marianne at Silvertip in their Mattracks-equipped Land Rover. With the installation of the Mattracks, they decided to swap the axle gears from 3.54 to 4.72 so they’d have lots of low-speed torque—also great with their 35″ tires. Additionally, they put in a Roamerdrive mechanical overdrive so they could still (barely) drive at highway speeds. Ray states they got the very first one made for the Defender. They had the prototype unit and it’s been fantastic. “They are a brilliant device,” he says. They proceeded to spend many winters using the truck as a snow-cat, taking kids and friends (and sometimes paying guests) on ski trips in the backcountry. 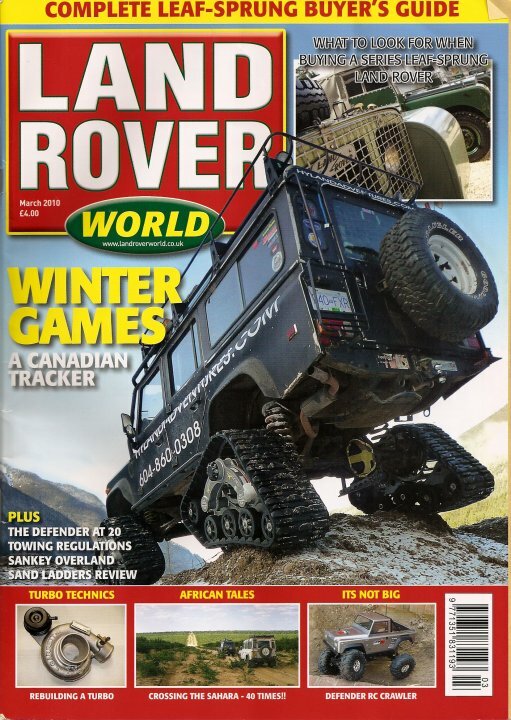 Ray’s build featured on the cover of Land Rover magazine. 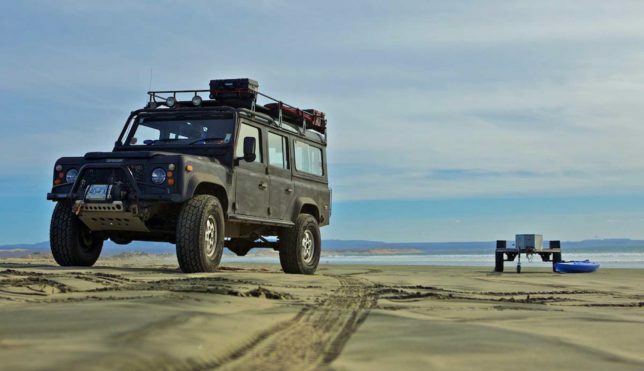 In the summer, the Defender is great for long-distance touring as the 2.5l 200 TDI turbo diesel gets 22 mpg even with the 35″ tires on it. They’ve driven from Seattle to New York twice, Vancouver to Arizona several times, and did a huge family holiday down through Baja Mexico while towing a trailer and a bunch of kayaks, all while carrying the five of them and their two German shepherds. Ray says the only downsides are that’s it’s very slow on the highway (55 mph max) and very noisy. Ray built the Defender 110 to complete the Malaysian Rainforest Challenge. It has a full FIA spec roll cage from Protection and Performance (a UK-based company). The cage is tied into the chassis at six points and includes two internal diagonal crossbars. It has a fully dislocating suspension with one meter of wheel travel at each corner (or about 39”), a three-inch lift, and boasts properly cranked and castor-corrected components where needed. As I mentioned, the gearing was changed from 3.54 to 4.72s, ARB air lockers were added front and back, and there’s a mechanical overdrive on the PTO so Ray can maintain highway speeds. It runs on 35″ tires normally but has also run on 38s. It has full armor underneath on all components, sliders, upgraded half shafts, and other drive-train components. 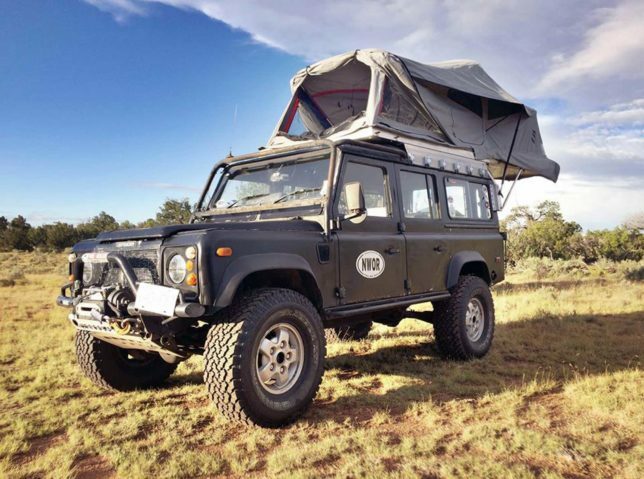 The Habitat roof top tent is from AT Overland. “It is amazing.” Ray states. This tent is aluminum, and is bonded together like an Airbus so it’s strong and lightweight. They walk on it, strap boats on it, and don’t worry about catching branches in the forest. When they open it up, it turns into a huge four-adult or six-child tent. The opening covers the back door like an instant awning. This Defender 110 also has an additional huge awning that can be zipped on to any side of the tent, giving shape and shelter when needed. The Defender 110 and Habitat tent at the BC Overland Rally. Photo by Mercedes Lilienthal. Ray, his wife Marianne, and their three sons love to travel. They’ve traveled thousands of miles with this rig and have many stories to complement its character. 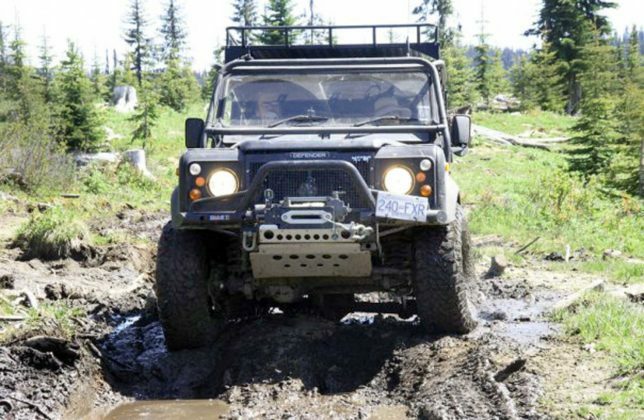 Heck, the 15 years of its life spent as a heavy-duty SWAT Land Rover would surely boast crazy stories. And knowing the Hyland family, it’s bound to generate loads more stories to be shared around the campfire. You can follow Ray and his families’ adventures on their Hyland Adventures Facebook page or their website. Photos in this article courtesy of Ray and Marianne Hyland.